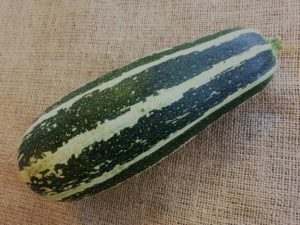 Marrows – the beefier cousin of the courgette – have long been an allotment favourite amongst vegetable growers who value easy to grow crops that produce large yields. Marrows thrive in hot summers, so if you have any knocking about down on your vegetable patch, chances are they will be in fine fettle. Whilst a magnificent swollen marrow will bring gasps of appreciation when displayed on a table at a village fete, they have limited use in the kitchen. Culinary-wise, they need a bit of work to make their bland flesh a tasty prospect. You can, however, make a rather fine booze from them which goes by the name of marrow rum. Strictly speaking, it’s not a rum as there’s no distillation process involved in its making – the rum bit comes from the deep hued crimson booze that results. 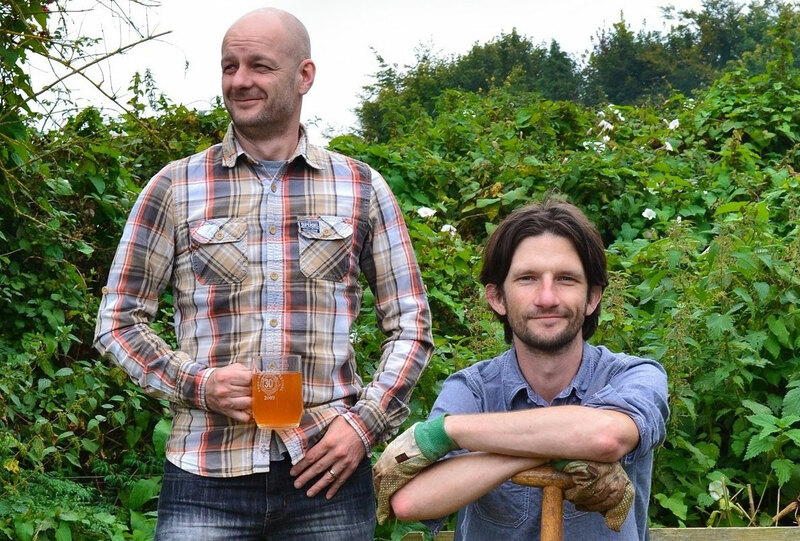 It has a uniquely vegetal taste that some people may initially describe as ‘acquired’ – but, like rum, you really want to sip it slowly and savour the charms of this unusual, allotment-based booze. Grab a large marrow and slice off the top using a sharp serrated knife. Set the top aside then scoop out the seedy innards with a spoon. 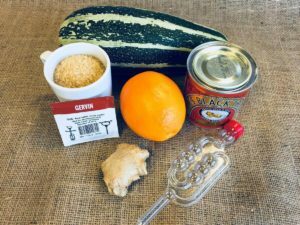 Stuff the marrow cavity with 2 1/2 cups of demerara sugar, 1 tablespoon of black treacle, the juice of one orange and a one inch piece of fresh ginger. To this, add 1 sachet of red wine yeast (available from homebrew shops and online retailers). Stand the marrow upright in a large pitcher (or small bucket). Replace the top of the marrow you set aside (or retrieve it from the bin, depending on whether you paid attention in the first step) and wrap the lid with parcel tape to keep it secure. Keep the marrow upright in your chosen receptacle and set aside somewhere warm. Your marrow may show signs of disintegration after a couple of weeks. If so, wrap it in a muslin cloth secured with string, or stuff it in a (clean) pair of tights to keep it together. After 4 weeks, your marrow should be ready to give up its juicy bounty. Pierce a hole in the base of the marrow and allow the liquid to run into a fermenting jar. Fit an airlock (again, purchasable from homebrew retailers) and allow fermentation to finish before bottling your marrow rum, which should take around 2 weeks. Allow your marrow rum to mature for a couple of weeks before dishing it out to unsuspecting family and friends. Cheers! A British bred hybrid that produces high yields of early fruits. Its thick, striped skin makes it a good winter storer. You can also deep fry the flowers and scoff them with salad. Similar to the aforementioned Tiger Cross, but this plant produces darker fruits that mature later in the season. Stuff this badger with cheesy rice and roast in the oven to really make it cross. 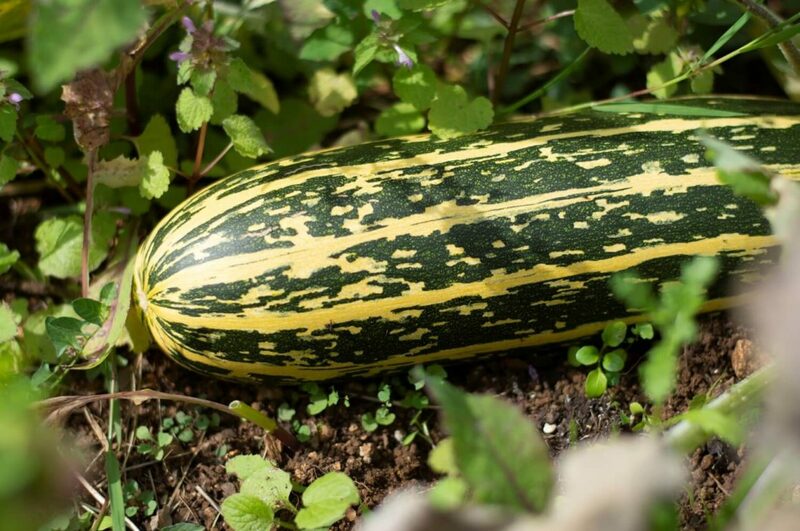 A small golden marrow that grows prolifically on a compact bush – perfect for container growing on a patio. Slice, douse with oil and cook this variety on a BBQ for a great burger accompaniment.